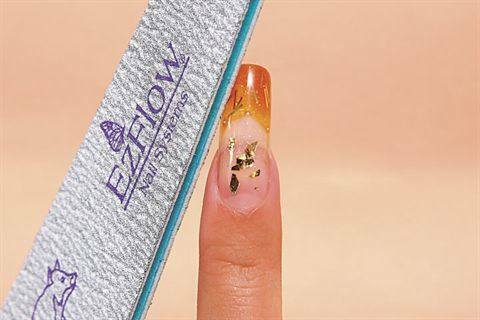 EZ Flow’s colored acrylic collections allow you to free your mind and create endless combinations of colors and art to keep clients enthralled year-round. The collections Time to Shine, Pastel, Earth Stone, and Rainbow offer unique shades for nails, and the Competition White Series has superior performance and adhesion. 1. 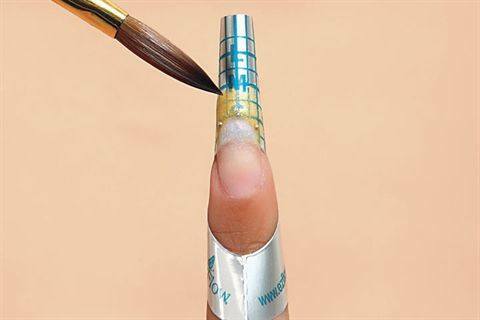 Push back the cuticle and file the nail plate with the EZ Flow Grey Wolf file. Apply two coats of EZ Bond and two coats of EZ Flow Primer. 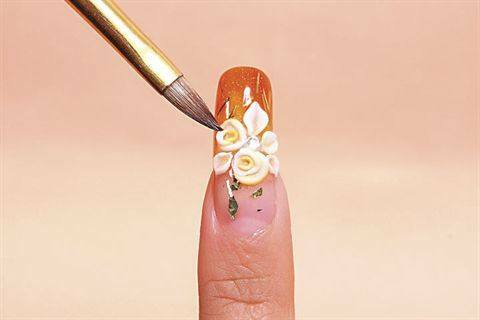 Apply a form and use EZ Flow Piano Lounge from the Time to Shine Collection to extend the nail plate. 2. Put one ball of EZ Flow Gold from the Earth Stone Collection and one ball of EZ Flow Candy Corn from the Rainbow Collection and marble them together for the free edge. 3. 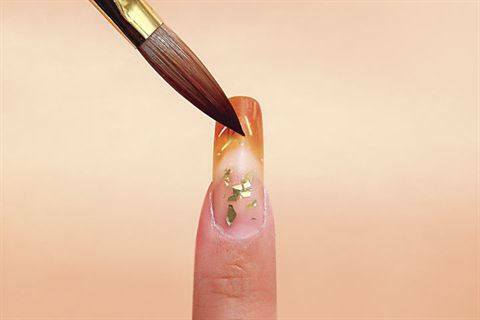 Take some gold glitter of EZ Flow Gold Bar from the Time to Shine Collection and apply clear powder all over the nail to make the shape. Then file and buff. 4. Use EZ Flow Competition White and EZ Flow Wall Flower from the Pastel Collection to create the roses. 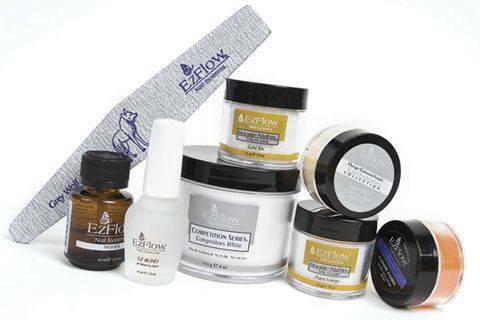 For more information, go to www.ezflow.com.